This is a puzzling question to many people, most of who laugh at the idea of dressing up a pooch. Some dog owners are also skeptical about wearing clothing on their dogs. However, a few of them, have noticed the violent shiver that courses through the bodies of their canine friends during winter, but don’t know what to do about it. If you belong to this category of dog owners, there is good news: it is okay for your pet to wear dog coats. Sure enough, a dog’s natural coat provides insulation and protection from the weather. But some dogs like puppies, senior dogs, short-haired breeds, etc. may need additional warmth in winter due to their lighter layers of animal hair or fur. Why Should Dogs wear Coats? 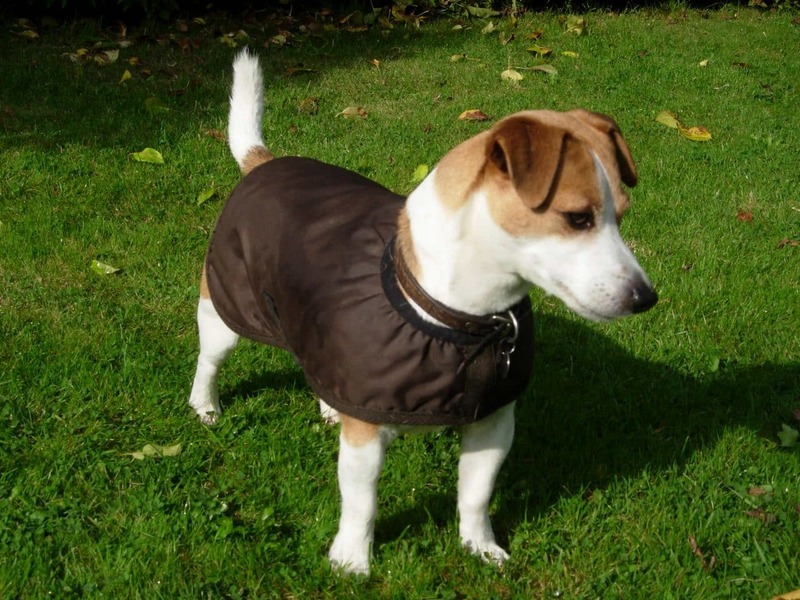 Dog coats are great garments for keeping most short-haired breeds and small dogs warm and dry in winter. Chihuahuas, Labradors, Greyhounds, and even Norfolk Terriers are susceptible to the elements, so they need to wear a dog coat or sweater to stay happy and warm in cold weather. Not all dogs are genetically wired for the cold environments in which they find themselves. Such dogs will always be uncomfortable in the freezing temperatures of winter. Dogs with medical conditions may also benefit from extra warmth. Do All Dogs Need Dog Coats? Not all dogs need to wear dog coats. For instance, breeds such as the Pomeranians, Siberian Huskies, Akitas, Newfoundlands, and even Cairn Terriers cope exceptionally well in cold weather as a result of their undercoats. This is why you must conduct enough research for your breed to determine whether or not a coat is necessary. Not all breeds can become accustomed to wearing dog coats. A few dogs find it extremely uncomfortable. If you notice that your pooch is uneasy as a result of wearing a dog coat, do not force it. However, you can allow your canine friend to wear the dog coat – for a few minutes at a time – around your home, then build it up from there. Dog coats are not explicitly meant for small dogs. Greyhounds, Whippets, etc. can also benefit from wearing a well-crafted dog coat to keep warm as well. Make sure you measure your canine companion accurately before buying a dog coat. A dog coat that doesn’t fit well or that is too close-fitting may hamper your pet’s mobility. Ensure that your dog’s coat does not have tags, hanging zippers, hooks, buttons or parts that could irritate your pooch or get caught. Your dog may also chew off or swallow these appendages, so be careful when deciding on the type of dog coat to buy. Hairless dogs, short-haired breeds as well as shaved or clipped young dogs are vulnerable to cold weather. Small dogs also lose a lot of body heat faster than their larger counterparts. These dogs find it challenging to create enough body warmth to stay cozy since their single coats of hair don’t offer adequate protection from the cold. A dog coat is in order in cold weather if your dog belongs to any of the breeds highlighted above. Dogs can fall ill, and their immune system weakened as a result. If your dog has an illness such as Cushing’s disease, it could affect her coat, thereby making her liable to feeling cold, indoors or outdoors. You can keep your pooch warm with an indoor but lightweight dog coat. But when taking her for a walk, she needs to wear a warmer dog coat to protect her from the harshness of the elements. Some dog owners shave their dogs in summer. But what many may not realize is that such action could make the dogs to miss the benefits of the insulation provided by their natural furs. Dogs with light-colored skin may suffer a lot of skin damage if exposed to the harsh rays of the summer sun. This is the primary reason why working, police, and sporting dogs wear lightweight summer dog coats to keep them warm. If you are an outdoors person and your dog like to tag along anytime you leave the house, a dog coat will come in handy for your pet. Getting a dog coat for your canine also helps her to stay clean. Less dirt means she will take fewer baths. Dog coats serve as a form of buffer when your pooch goes about, especially outdoors. The dog coat ensures that your dog drags a negligible amount of the outdoors around with her. Dog coats are also beneficial when she decides to roll in the grass or something more disgusting. Her clothing will bear the brunt of the onslaught. Aged dogs are plagued with medical conditions which may lower their normal body heat. Diseases such as arthritis are heightened by cold weather, so getting a dog coat for your geriatric friend will keep her snug during winter or in the evenings. A waterproof dog coat is ideal to keep her dry and warm when taking her for a walk. Make sure the clothing allows your dog to move freely and is free of her privates. Wearing a dog coat for your pet is beneficial in several ways. The only obvious danger is when your pet suffers overheating in hot weather. This is why you need to be watchful; once your dog starts drinking too much water or hangs out its tongue a little too often, then you need to take off its clothing. In all, dog coat offers immense benefits to your dog. Therefore, getting a coat for your furry friend is one way of showing great care.